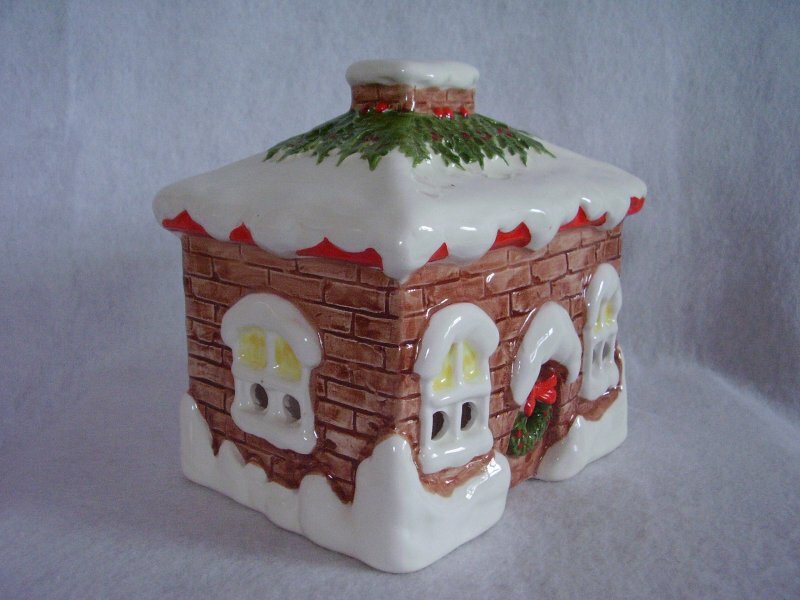 Ceramic Christmas House tea light or votive candle holder. Brown bricked house with red berries and greenery on the snow covered roof and a wreath on the front door. 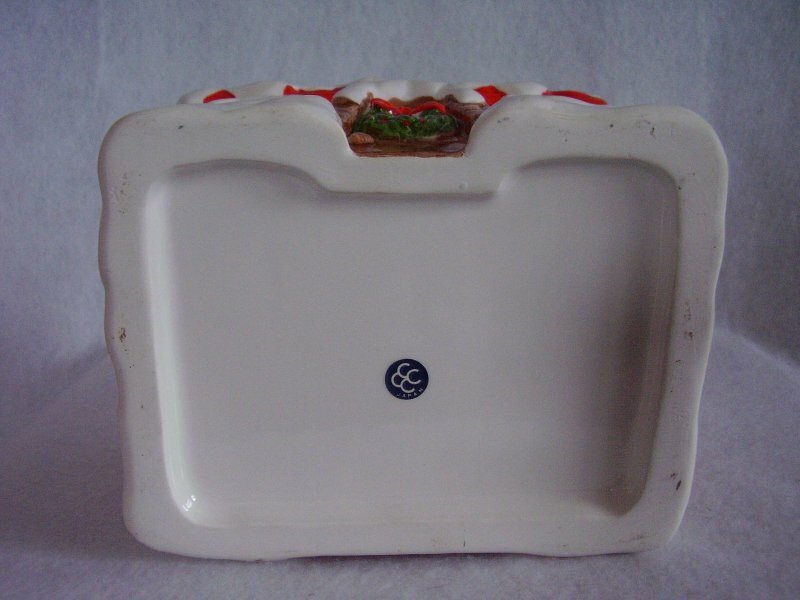 Opening in the back to place a tea light or votive (sorry candle NOT included). In gently used condition. 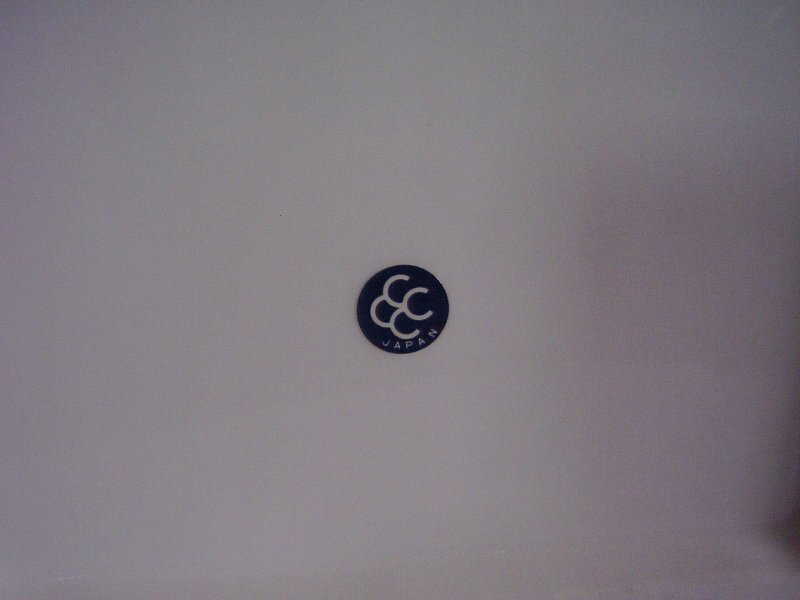 There is some crazing in small spots that you have to look for. 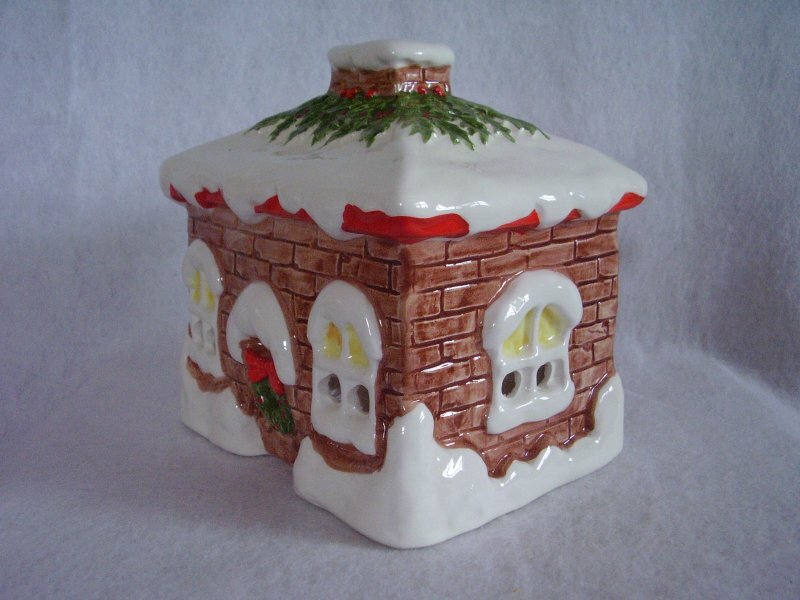 Ceramic Christmas House tea light or votive candle holder. 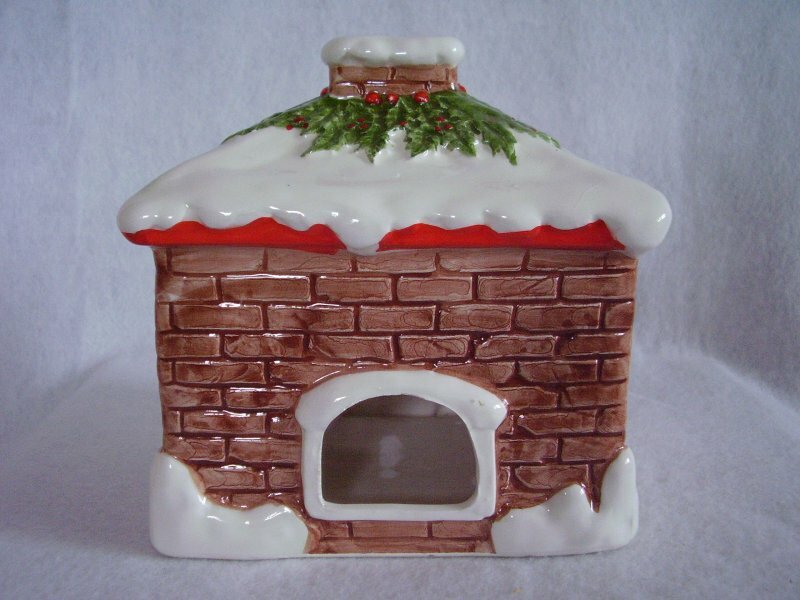 Brown bricked house with red berries and greenery on the snow covered roof and a wreath on the front door. Opening in the back to place a tea light or votive (sorry candle NOT included). 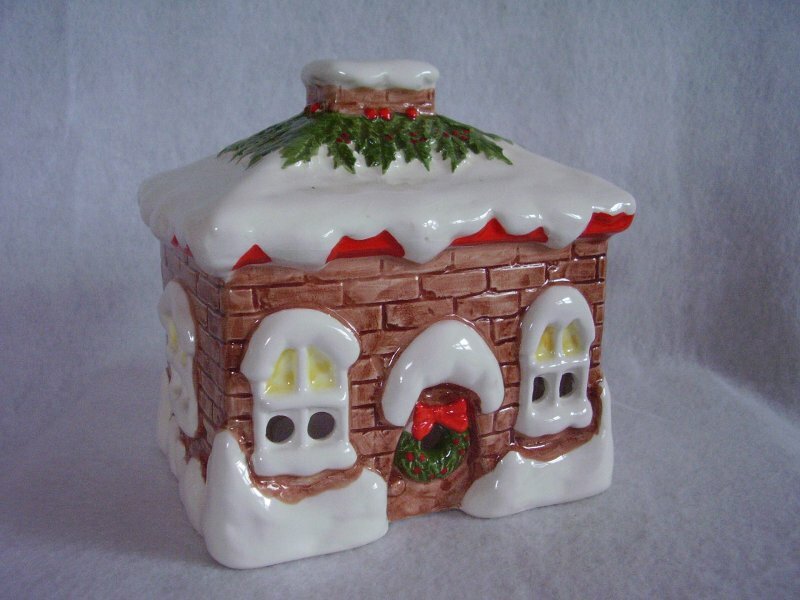 House measures 6 1/4 inches tall x 6 1/2 inches wide x 5 1/4 inches deep. In gently used condition. There is some crazing in small spots that you have to look for. No cracks, chips or scratches. Some light marks on bottom from moving around.